Living right never felt so good. Sure, you eat right and exercise, but to really live well, you should add in a bit of hydrotherapy with a Healthy Living Hot Tub. Using heat and the element of massage, Healthy Living Hot Tubs create one-of-a-kind hydrotherapy to ease aches and pain, calm stress and boost the natural healing response. Find out why Healthy Living never felt so good. 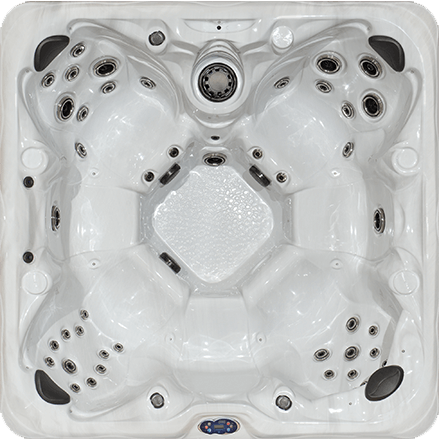 Lose yourself in relaxation as 45 targeted jets deliver powerful hydrotherapy. 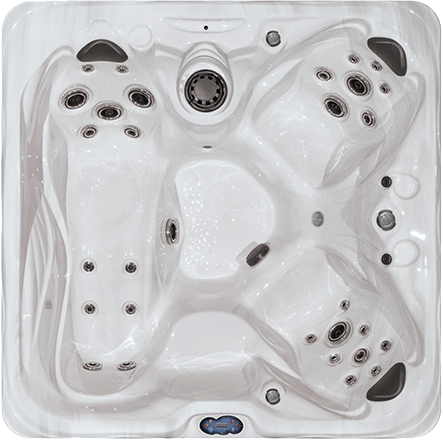 You’ll love all the features of this Healthy Living hot tub, including the lounge seat, cascading waterfalls and beautiful lighting. 84" x 84" x 36"
An inclusive seating arrangement for seven lets you share all the benefits of Healthy Living. Two pumps deliver powerful hydrotherapy through 47 individual jets, while soothing water features and colorful lighting set the stage for total relaxation. 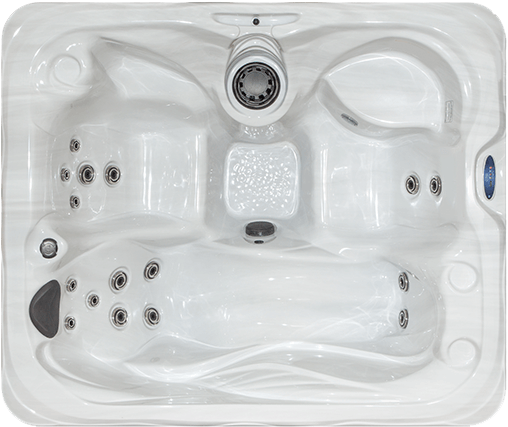 The ultimate in Healthy Living, the HL 8 is spacious and comfortable. Featuring an ergonomic lounge seat and 54 jets, this model delivers targeted relief to all areas of your body. Add the optional sound system and colorful lighting for a totally relaxing spa experience. 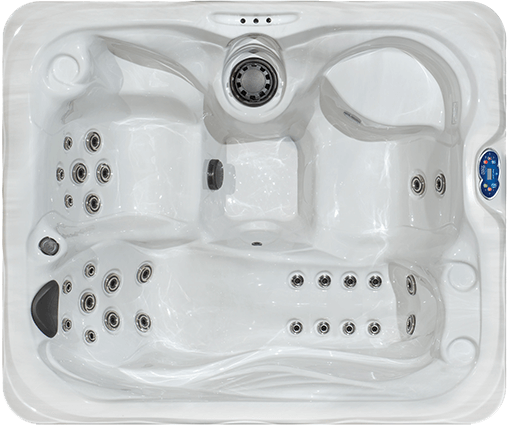 94" x 94" x 36"
A great hot tub to relax in, the Healthy Living 8 Dual Lounge provides reclined seating for two at once, 44 hydrotherapy jets, and LED lighting. Lose yourself in the absolute bliss of Healthy Living. 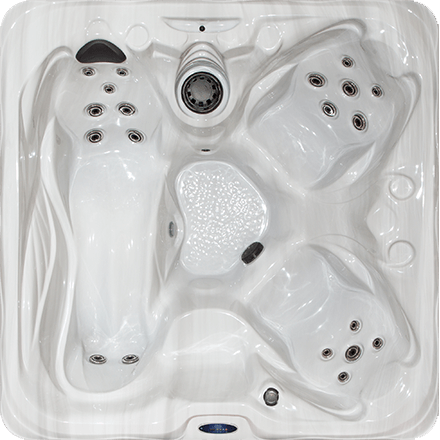 The ultimate in Healthy Living, the HL 8.5 is spacious and comfortable. Its open seating plan has room for seven. And, with 54 jets, everyone can enjoy all the benefits of hydrotherapy. Add the optional sound system to the standard water features and colorful lighting for a totally relaxing spa experience. 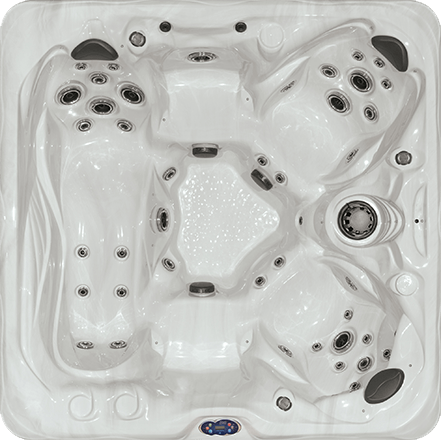 A great place to start for Healthy Living, this model has seating for three, including a relaxing lounge seat. A cascading waterfall and beautiful Colorscape lighting help create a relaxing and inviting environment. 78" x 66" x 32"
A great place to start for Healthy Living, this model has seating for four, including a relaxing lounge seat. A cascading waterfall and beautiful Colorscape lighting help create a relaxing and inviting environment. 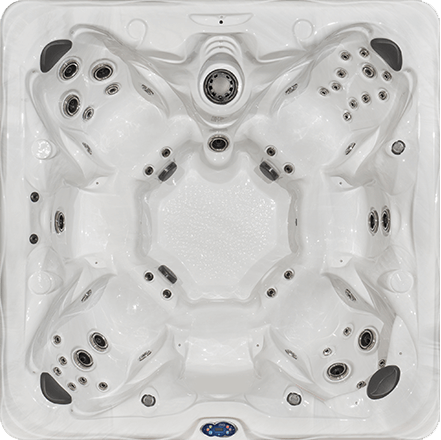 78" x 78" x 32"
You can feel the stress melt away as you relax in this hot tub featuring a full lounge seat and 24 targeted jets. 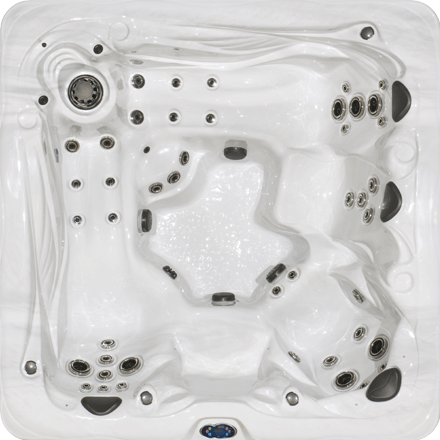 Easy to install and maintain, this Healthy Living spa is an ideal way to bring all the benefits of hydrotherapy home. 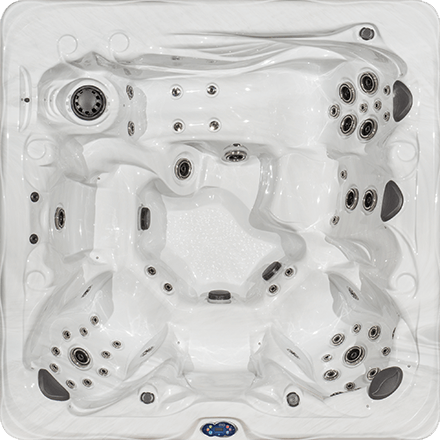 A great place to start Healthy Living, this hot tub features everything you need to gain total relaxation – 30 targeted jets, a relaxing lounge seat, quiet operation, colorful lighting and an optional sound system – all in a smaller size that fits almost any location. ©2018 Swims & Sweeps Inc. Please call 1-800-832-7946 or complete the form below and we will be in contact shortly.